While you and I might drool over a beautifully garnished avocado on toast, or a creamy brie on crackers, your cat will have other ideas. You see, cats have adapted to a mainly carnivorous diet in the wild - and although an apple a day may keep the doctor away, the vet will keep knocking. That said, barring a sudden rodent infestation, you may have trouble feeding your cat an ‘all-natural’ diet. For most felines, cat food is a fine substitute. But, not all cat food is created equal. In fact, Choice magazine recently found that around a quarter of commercial cat foods do not satisfy cats’ needs. 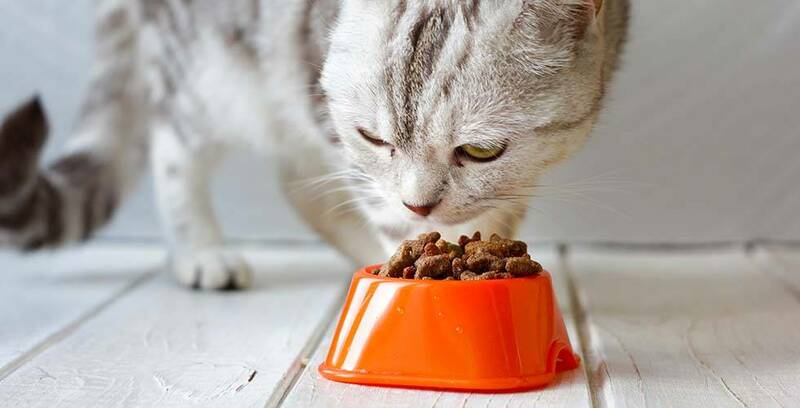 It’s important to understand the basics of feline nutrition in order to keep your cat happy and healthy - it's what we considered when picking out our own range of cat food. Cats may be curious, but that won’t make mystery meat taste any better. If an ingredient is listed as just ‘meat’ then you can probably bet it isn’t worth bragging about. Chicken meat is the best for cat food, but any named meat is better than none. Raw meat can also be a great source of hydration. We know ‘meat meal’ doesn’t exactly sound appetising, but in practice, it is actually a more efficient source of protein than raw meat, because the weight measurement excludes water weight. However, it does lack some important nutrients found in hydrated meat. Again, remember that mystery is best left off the dinner menu. Eggs in any form are a fantastic source of protein that is very easy to absorb. Whole eggs are best, but even powdered eggs or egg product are good ingredients to see in your cat food. Almost all cat food on the market will contain some vegetables or fruit. Cats in the wild eat their prey whole, and get nutrients from plant matter from their dinner’s dinner. However, plants are a supporting actor, and will preferably be the third-listed ingredient in your cat food. Just make sure kitty is eating enough meat! Fat may be a taboo in the world of human cuisine, but for your furry friend it is absolutely essential. Fat contains many of the essential nutrients your cat needs, and you should look for them high up on the ingredients list. Particularly good fats are fish oil (didn’t mum try and tell you?) and flaxseed oil. Canola oil is common, and not bad. Do we even have to tell you to avoid this? Imagine ordering ‘animal digest’ or ‘rendered meat’ at your favourite restaurant. Would it still be your favourite restaurant? What if we told you that rendered meat is also frequently found in fertiliser? We don’t really think it belongs in cat food, and neither would your cat, if it could read. While these don’t sound any more appetising, meat by-products aren’t necessarily a bad thing. They can include organs, which are very nutritious and rich in proteins. Unfortunately, they can also contain hair, hooves and other disgusting filler. As with everything, a named meat by-product (for example, chicken by-products) should inspire a bit more confidence than secrecy. However, there are better things to put in your cat food. 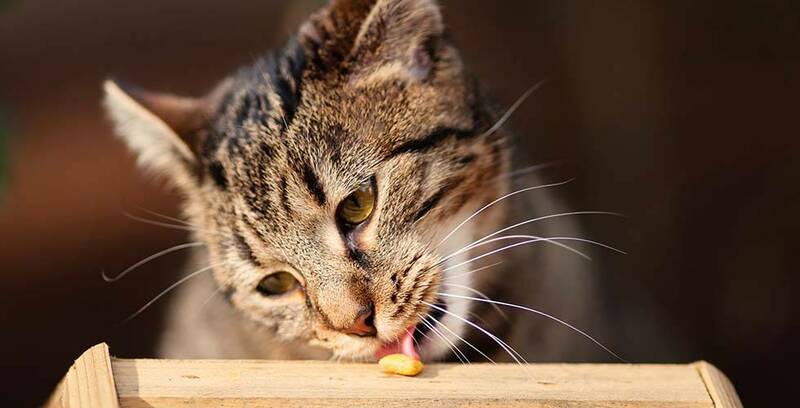 Your cat has no taste for sweets (as in, your cat literally has no idea if something is sweet or not), so there’s no need to put it in cat food. Salt is terrible for your cat’s kidneys, and often used to convince cats to eat food that is otherwise unpalatable. A common source of allergies, and full of estrogens that can wreak havoc with your kitty’s already-unpredictable mood. 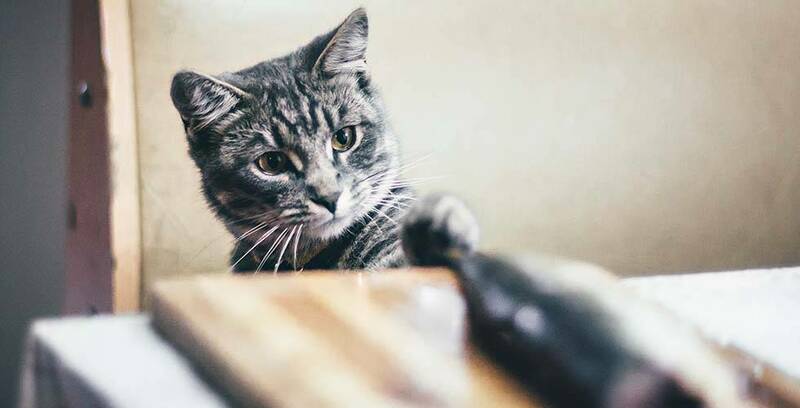 To see our take on the wet food vs dry food debate, click here. Or, if you’re finding your kitty enjoys food a little too much, see our guide to exercising your cat.